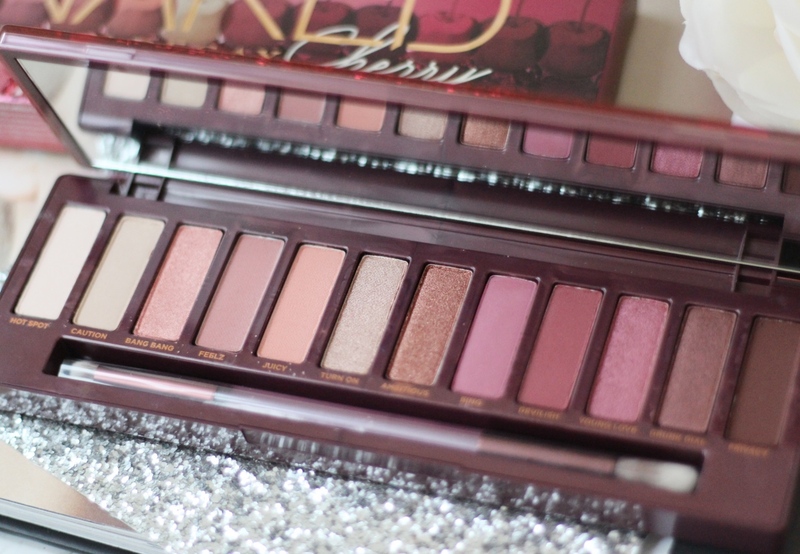 Urban Decay never seem to disappoint when it comes to the Naked Palettes, they are always a huge hype! May I add they are always totally worth the hype too! If you read my blog regularly and follow me on Instagram or even know me in real life, you will know that I am so obsessed with the naked heat palette. 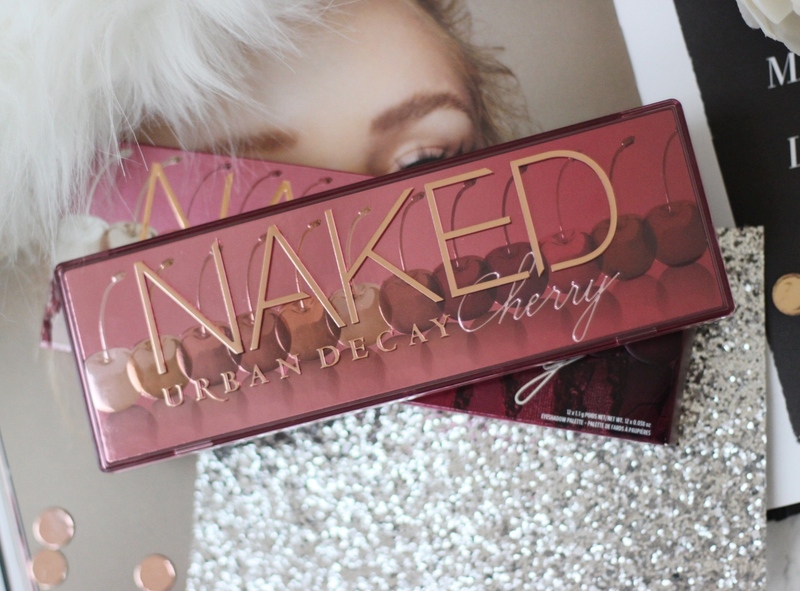 I love the warm and bronze tones, however I also love pink tones and so when Urban Decay simply teased the Naked Cherry palette I was squealing with excitement! I love the packaging of course, in theme with the naked smokey and the naked heat but this time with element of pink! 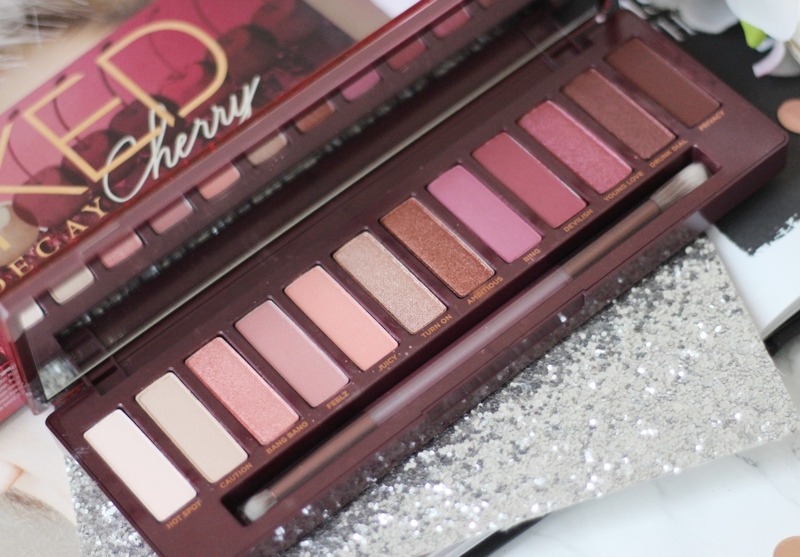 The Naked Cherry palette offers 12 brand new shades with a mixture of shimmers and mattes. They shades include rose golds (Bang Bang and Turn On), deep black cherry shades (Drunk Dial and Privacy), highlight shades and every cherry tone in between. My favourites include Bang Bang, Bing and Juicy. All the shades work really well together and just like all Urban Decay eyeshadows they are long lasting, highly pigmented and very blendable. 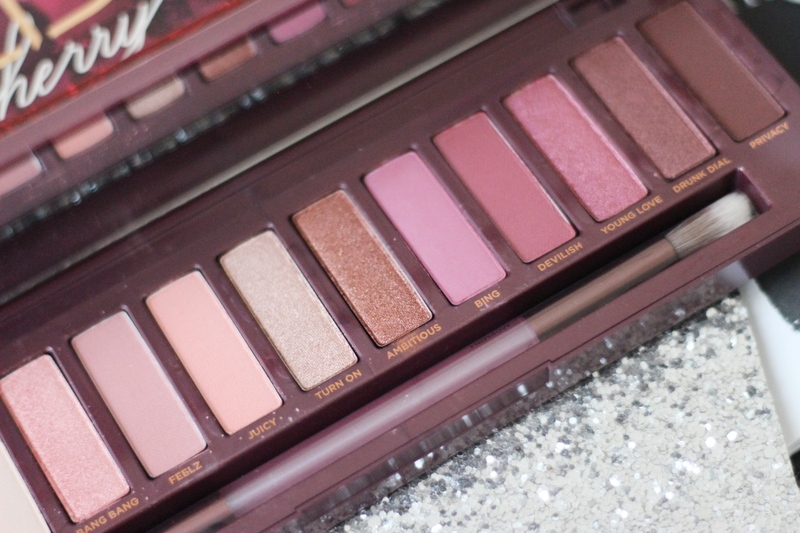 The Naked Cherry Palette allows you to create so many different looks, all with a hint of pink and mauve. 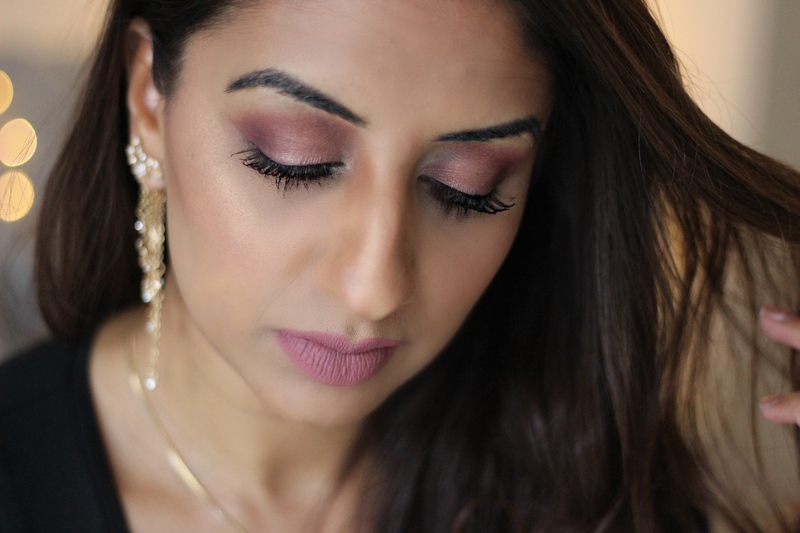 You can create intense dark berry smokey eye looks and well as subtle pretty everyday looks. 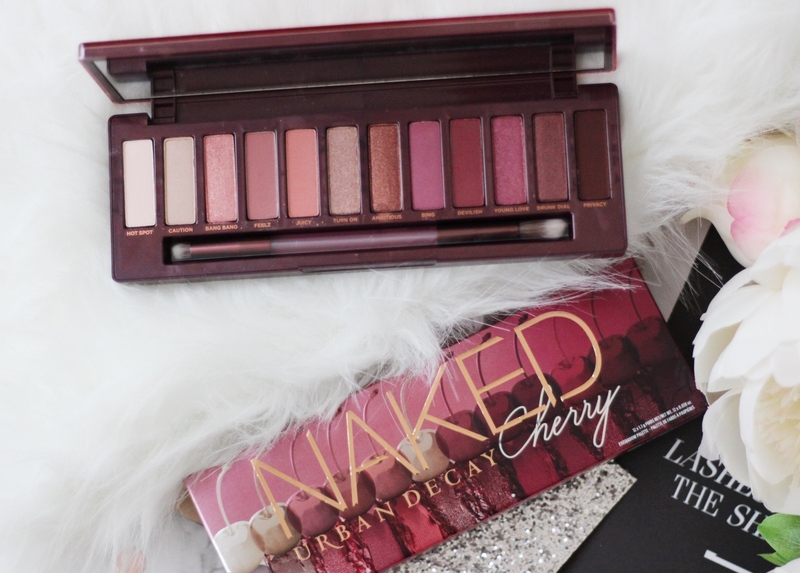 I have created a party look with the Naked Cherry Palette, but this look would equally look good for date night (with Valentines coming up!) I hope you like the tutorial and if you’d like to see a more intense smokey eye look just let me know!